In the spirit of the internet Bushcraft trend of pulling out our tools and comparing I decided to join in the fun. 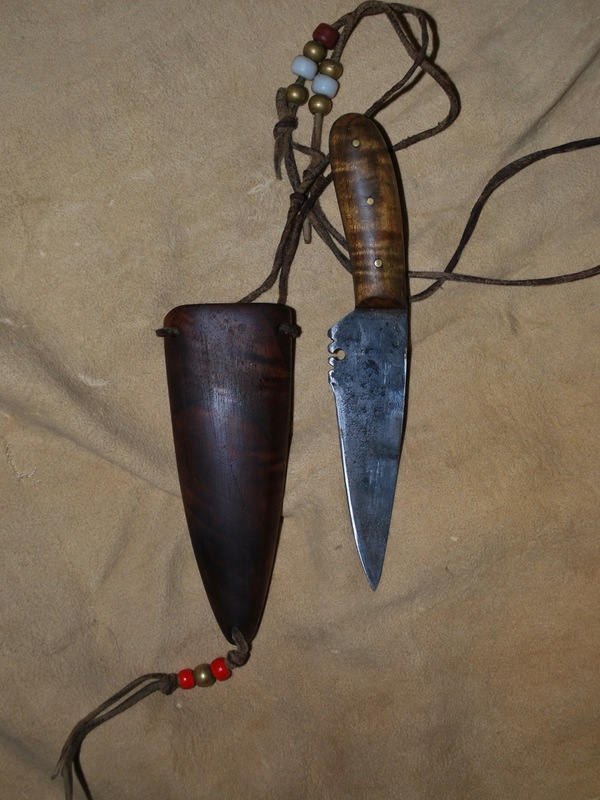 This is the patch / neck knife I purchased back around 1986 when I first started getting primitive. 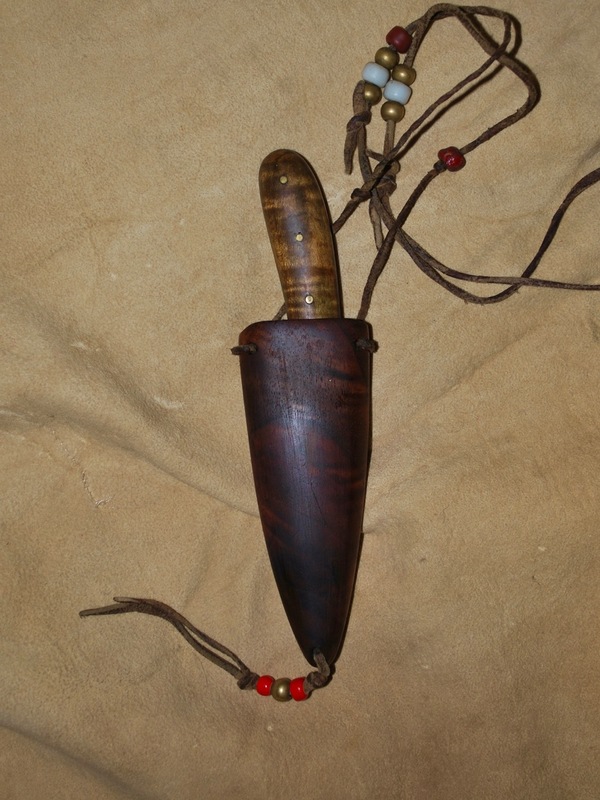 A poor photo of the walnut sheath. 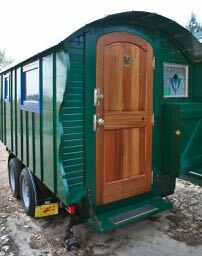 I went with wood as I was wearing this almost constantly whle working a backwoods program for the Scouts. I decided it might just impale me through the sternum or neck if I took a bad fall so the wooden block sheath was the solution. 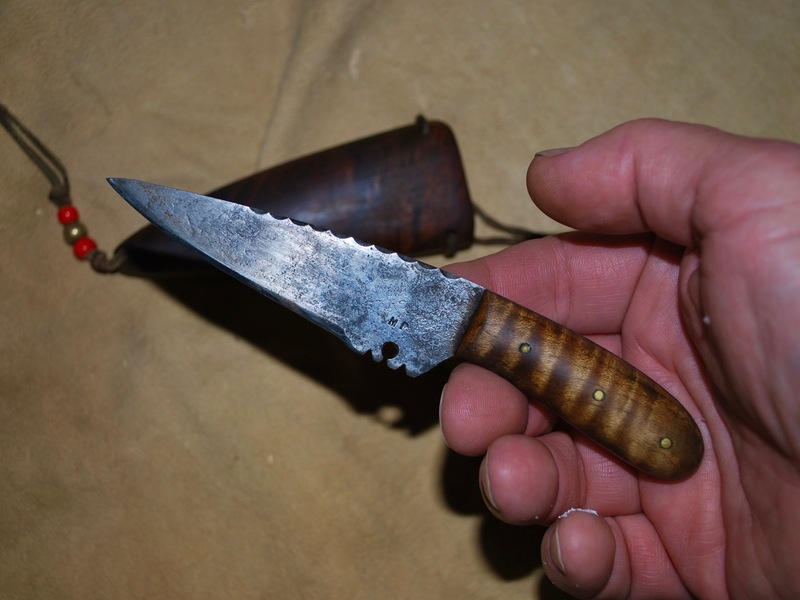 This one was made by a bladesmith from an antique crosscut saw and has a beautiful tiger-striped maple handle. This is probably its third sheath but it’s the one I’ve stuck with since around 2001. It’s been camping and on thousands of miles of field projects, not always around my neck but almost always close-by in my pack. For some reason, our society thinks you’re a little weird if you wear a knife around your neck all the time.